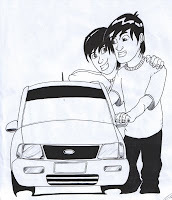 Inspirational Stories for You and Me: Wanna Go for a Ride with Me? Wanna Go for a Ride with Me? From the moment i posted the cover Life is an Open Secret- You, Me and We, i received many curious and excited emails from my readers and friends regarding the new book, alhamdulillaah. So, i thought, it would be best to use this week's (4th week) post to give a taste of the book, inshaAllaah. Once, I was traveling and decided to buy some stuff for keepsake. It was then I saw this ID Badge bearing a picture and quote from one of the most successful women in show business, Oprah Winfrey. The quote said Lots of people want to ride with you in the limo, but what you want is someone who will take the bus with you when the limo breaks down. This very quote had haunted and made me think big time. So, I started asking questions- Who are the people in my life who would be ready to ride the bus with me if my limo breaks down? How do I know who they are? What are their characteristics? Do I even have any of them with me? But very quickly I realized something. These are not even the right questions to ask. What I should be asking are in fact these questions- Am I the kind of person who is ready to ride my friends’ buses when their limos break down? Would my family and friends consider me someone whom they would love to find sitting in their limos and buses? 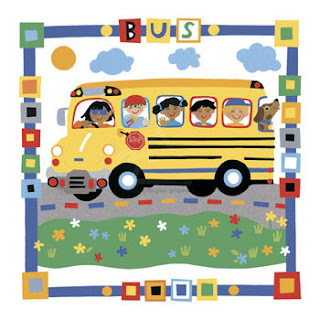 What are the things that I should do to ensure them that I am the person who not only would be there in their beautiful limos, but, more importantly, would still be riding joyfully with them in their big red buses too? And those questions drives and motivates me to write this second book- Life is an Open Secret- You, Me and We. All the 18 stories in here are to facilitate us all into becoming the person others want to be with, both in their limos and buses. Each story is written to provoke and tease our deep emotions on how we have been behaving towards ourselves and others, and how we could improve our characters. Amazingly, as I wrote these stories, the whole journey has allowed me to discover something absolutely stunning! The fact of the matter is simple- I discovered that if we could be of a helpful person, be valuable, be kind and be respectful towards others, we are not really servicing them. Instead, I found that, it was us, the helper whom would ultimately benefit and get helped from the help we gave away! Sound confusing? You don’t believe me? Pick up Life is an Open Secret- You, Me and We; read it and you will know what i mean! In sha Allah, God willing, you will be so glad you did. Life is an Open Secret- You, Me and We has been vetted by knowledgeable individuals who have verified the authenticity and validity of the usage of all Qur'anic verses and hadiths quoted. What Others Says About It? A groovy introduction to Islam! Carries a mixture between Mary Poppins, Shirley Temple and Aesops Fables! Wonderful secrets for those searching for better 'We'! # 1 Amazon bestselling Co-Author of "The Power of Giving"
Addresses many of the real life problems we face everyday! Love the book, love the message and love her ability to make divine wisdom so simple! Greatly impressed with her stories as a pioneer in this blessed field! Very unique, relaxed writing style that makes it easy to read and enjoyable! It is hard to put down as I felt like I was talking to an old friend. 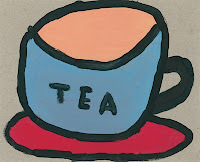 All that was missing was a good cup of tea! It really had me excited about doing more and giving more! Beautifully written by truly an inspirational storyteller, Ma sha’ Allah! Her message is so profound and impactful. It's hard to put down! Shift your focus from earthly to spiritual, from self-absorbed to outreaching. A fabulous job! Full of great smile material. Refreshing, humorous and definitely worth the read! I really liked the stories as they all seemed to be like diaries entries to me. Really convincing! Inspiring, heart-touching and make you re-think the most of the everyday events in your life and make them blossom before you! I began reading when the print suddenly turned blurry and for the first time that my eyes watered! If I may paraphrase another great writer,’ God has given Sis Zabrina a beautiful vision for mankind and the words to describe it.’ I for one am glad He did. After reading these stories, all I want to do is help others, make them happy and just give myself to the world! Her stories are like an oasis in the desert and snow in the Sahara! An epitome of a true story teller, skillfully and nonchalantly entwines everyday stories! They drive you to reflect and implement upon their lessons while you think you are simply enjoying thoughtful and funny stories! It is a book that builds bridges, a book for this time and a book that everyone young or old should read! Excellent blend of contemporary life and Islamic values! Gentle, sweet and warm reminders of those little deeds that help us to become better people! Need a kick in the pants to shift your focus from earthly to spiritual, from self-absorbed to outreaching? Life is an Open Secret- You, Me and We is the book to do it! Sis Zabrina's magical, truly humble and graceful persona captures and makes sense of the essences, beauty, trails and tribulations of daily life in Life is an Open Secret- You, Me and We. A delightful, unique and inspirational read! Sis Zabrina has done it again! She brings more heart-warming story of joy, love, peace, compassion and forgiveness woven around her faith in her own inimitable chatty fireside manner in Life is an Open Secret- You, Me and We. Her legions of readers around the world will love it. Chief Dreamer and Designer, Ed-Infinitum (M) Sdn Bhd. 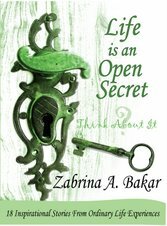 Sis Zabrina's caring and energetic narrative voice pulls the reader into the heart of her stories, this collection is one to share with those you love simply because you love them. I think mothers should read Sis Zabrina's stories to their little ones as they are simple and very inspirational! The Story of a Girl and Her Poem …………..……. The Story of a Concerned Husband ……..…….. 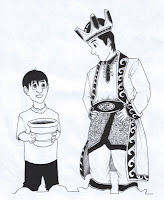 The Story of the King and His Minister ………………………. The Story of the Tornado………………………….…….. 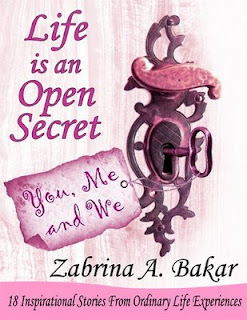 In my next post, i will share one short excerpt from Life is an Open Secret- You, Me and We for your reading pleasure, inshaAllah! Note: I would like to thank my team members for lending and sharing me their great talents in producing Life is an Open Secret- You, Me and We. Congratulations on your second book! I can't wait get myself a copy of the book. :) Take care! ::oh i cant wait to get my hand on the book. JazakAllaah khayran sis! You can get it inshaAllaah in major bookstores on the 15th July 2008. You take care too! Salaams Brother Dreamer, JazakAllaah khayran for your support! I truly appreciate it. It shall be available soon after/by 15th July 2008 in all major bookstores, inshaAllaah! Sis Love the blog. You keep going from strength to strength, keep up the good work, you are an amazing inspiration.